Though his attorney says it is too early to determine a proper strategy for defending his client in a recent shooting case, the circumstances indicate that Florida’s “Stand Your Ground” defense may be a solid option. The Sun Sentinel reported on the matter in an August 13, 2018 article, in which the defendant was charged with manslaughter after fatally shooting another man in a dispute over a handicapped parking spot. The shooter had been pushed to the ground by the victim before he drew his firearm and shot. 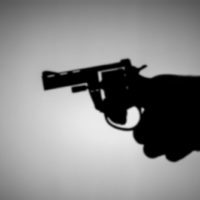 The facts may support a claim of self-defense, as state law justifies a person’s use of deadly force in certain situations. Still, there is much more to Stand Your Ground under Florida homicide laws, so a reminder may be useful. Florida’s Stand Your Ground law originates from the traditional concept of self-defense, which allows individuals to use force to protect themselves, another person, or property. The amount of force used in self-defense must be proportionate to the threat, so you can only use deadly force when you are confronted by it from someone else. Another aspect of traditional self-defense claims is that a person must first have attempted to flee before using force; the only exception is that you did not have a duty to flee when you are in your own home. Lawmakers passed the current version of Stand Your Ground in 2005, making some changes to historical self-defense concepts. For one, there is no legal obligation to attempt to flee the threat – which is where the Stand Your Ground terminology derives. No matter where you are, you can use deadly force to protect against death or serious bodily harm, or to prevent a violent felony. In addition, there are procedural matters that have major implications for homicide offenses. Whereas older versions of self-defense required the accused to raise the issue at trial, Stand Your Ground is a defense that can be raised at a pretrial hearing and again at trial. If a judge does find the justifiable use of force in the pretrial phase, the charges are dismissed and the case does not proceed to trial. When a judge does not find that your actions were justifiable self-defense, you can still present evidence at trial to support a Stand Your Ground claim. The jury is tasked with making a determination on whether there was a proper use of force in defending yourself. Florida’s Stand Your Ground law is one of the most controversial types of self-defense legislation in the US, and it is also one of the most complex statutes to employ in a criminal case. Considering the severity of the penalties for a conviction, you need an experienced legal advocate who knows the details of the law and procedural rules. For more information or to schedule a consultation regarding your case, please contact the Fort Lauderdale, FL offices of Criminal Defense Attorney Kevin J. Kulik.